Good evening everyone! I have my very first Pahlish polish to show you tonight and I super love it! 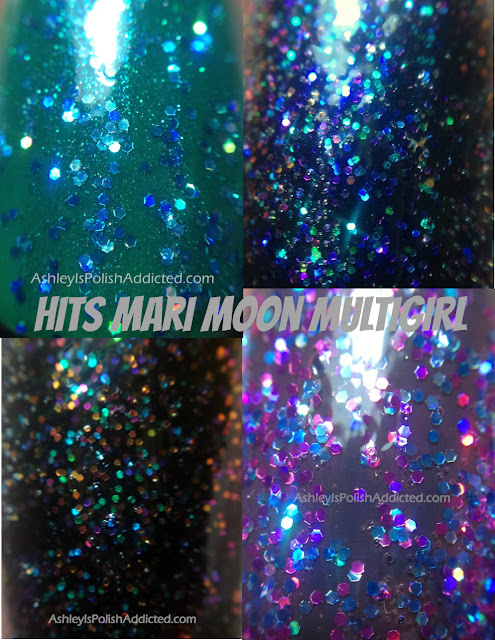 The maker describes this polish as, "Medium gray creme base with teal-pink shifting glassfleck shimmer and scattered holographic microglitter." That description is spot-on and I loved this polish so much that I stopped in the middle of a swatching session and ended up wearing it for 2 days! 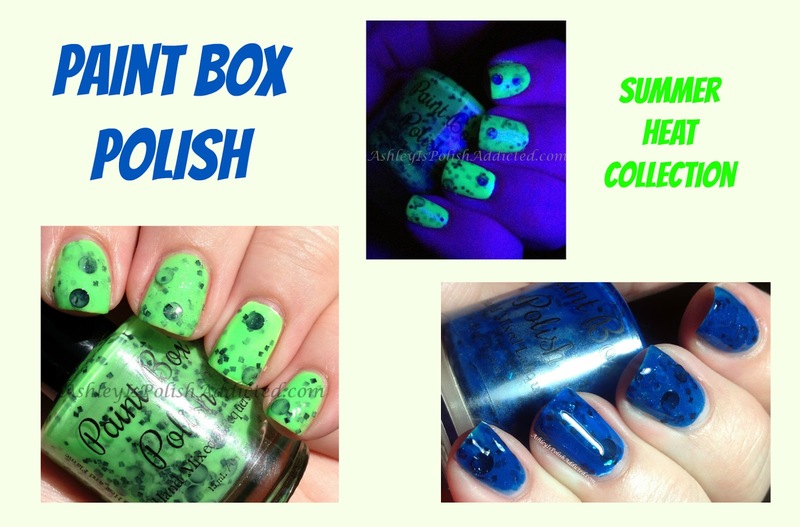 *All of the bubbles seen in these photos are from my topcoat, not the polish. Stay tuned after the jump! Good morning! How about kicking off a new week with swatches from a brand new collection? Paint Box Polish is launching a brand new collection called Summer Heat on Wednesday, June 26th and I have two of them to show you now! I also have a coupon code for my readers so stay tuned until the end for that! The Summer Heat Collection is inspired by the bright neon colors that Pam, the creator of Paint Box Polish, sees in her Zumba classes. I love neons and these are all great! These polishes are made up of black circle glitters, black square glitters and iridescent micro-flakes in a colored jelly/crelly base. I was so surprised by the iridescent micro-flakes! I love the micro-flakes! The formula on both of these polishes was fantastic! I didn't have an issue getting the large circle glitters out and onto my nail at all. 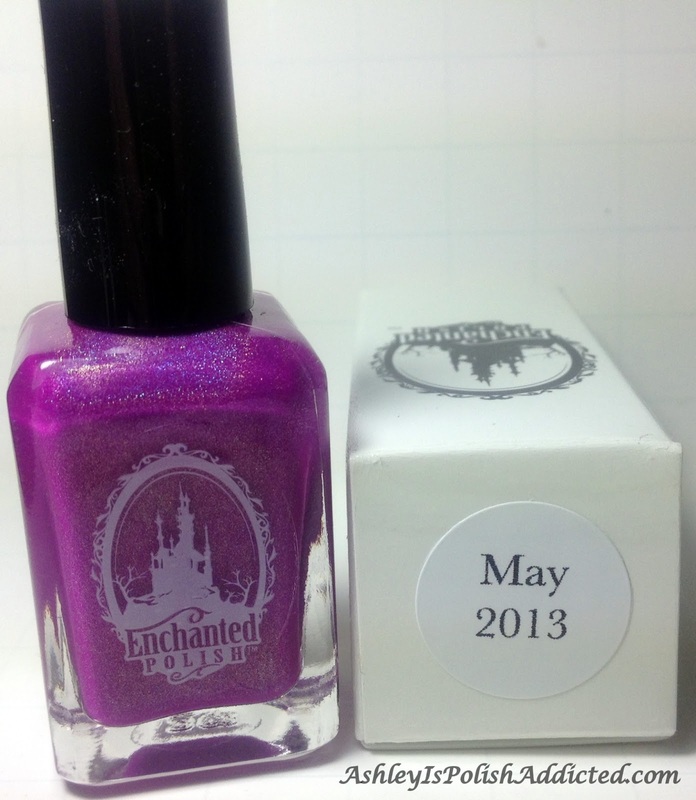 Any bubbles in the photos are from my topcoat, not the polish. Emerald - Inspired by the rich green gemstone Emerald, this polish is a dark green jelly packed full of iridescent flecks. Pink Agate - Inspired by the pink translucent variation of agate, this polish is a hot pink jelly perfect for a summer jelly sandwich. Obsidian - Inspired by the glassy volcanic rock Obsidian, this polish is pure black glitter. Polish includes three shapes of shiny black glitter, diamonds, hexes and squares in a clear glossy base. Happy Thursday, everyone! 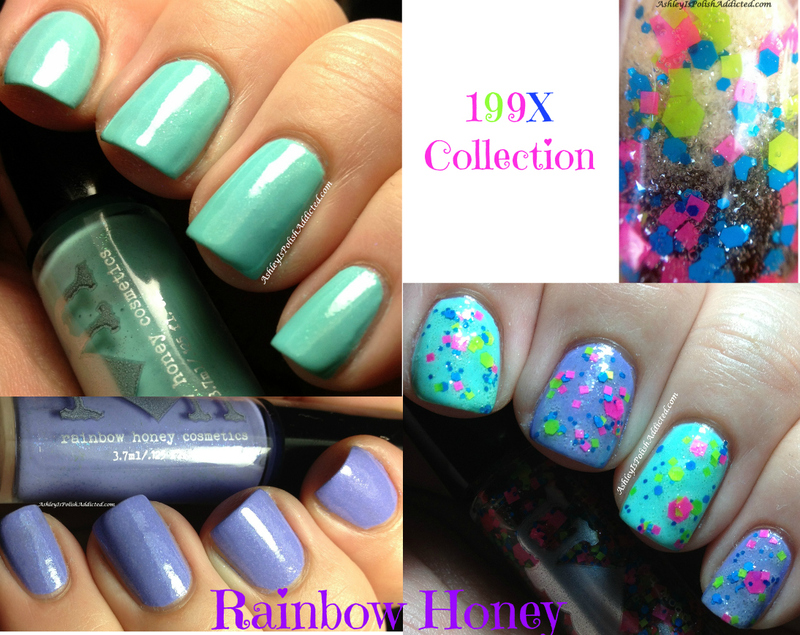 I have 3 of the new releases from Rainbow Honey's Summer of 199X Collection to show you today! Rainbow Honey presents its newest collection, Summer of 199X featuring 10 new colors inspired by the 1995 SNES hit, Earthbound. Happy Friday! 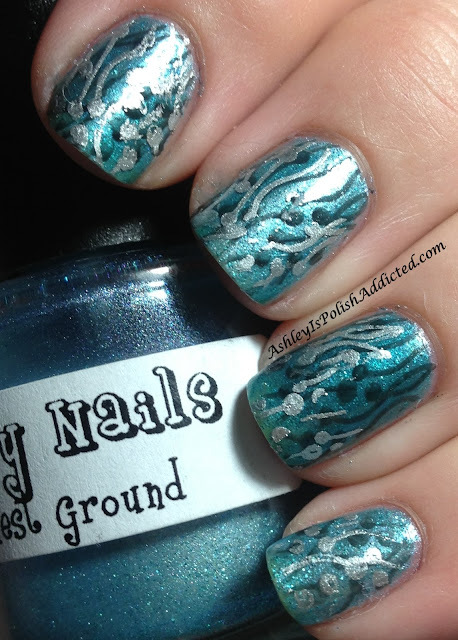 I have another new release from Dandy Nails to show you today! Choke on a Kiss is such a fun polish and just full of awesome color combination possibilities! I can see this looking amazing over so many colors - I want to try it over aqua next time! Choke in a Kiss is black, grey and pink glitters in a clear base but the surprise is the purple shimmer - it really makes this polish pop and I just love it! I had a hard time capturing the shimmer with my camera so I included a bottle shot at the end where you can see it better. It shows up on the nail much better than it seems in my photos. Happy Thursday! We are creeping closer and closer to the weekend. Has this week seemed to be in slow motion to anyone else or is it just me? 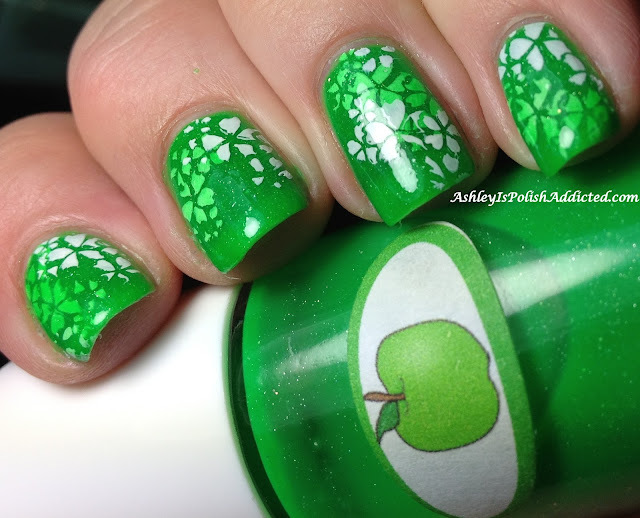 I needed something to perk up my mood and this mani did the trick! If you follow me on Instagram or Facebook you probably saw my amazing nail mail last night. I can't tell you how much I have wanted the rest of the Nail Junkie Neon Shimmers (I already had Green Apple and it can be seen here) and when I finally got them I couldn't wait to put them on! 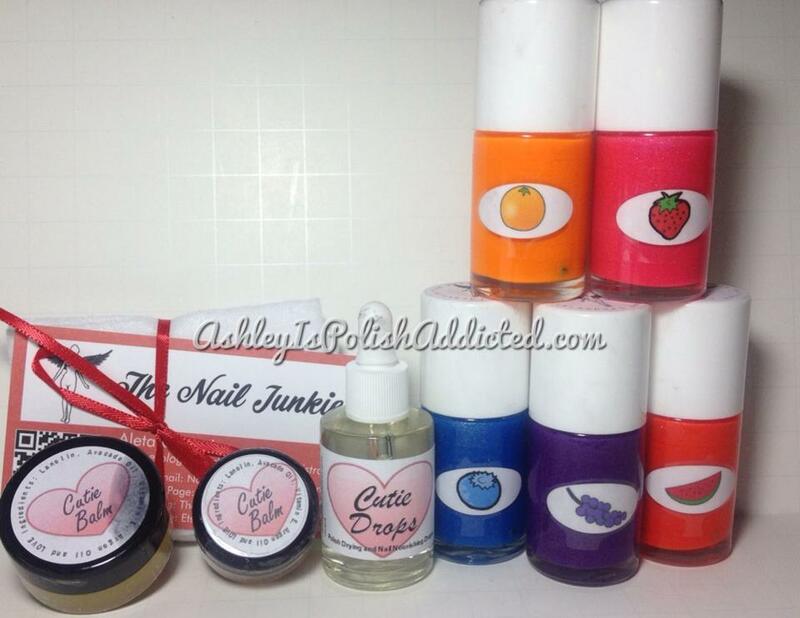 And before we get to the photos I have to say that Cutie Drops, a brand new product from The Nail Junkie, is AMAZING! I used it when my polish was still very wet (right after applying top coat) and touched my nail (carefully but not overly cautious) and it didn't smudge at all. Plus it conditioned my cuticles! It was extremely east to use as the dropper is easy to control. I will be buying this again! Good evening! I have a huge post for you tonight that is very pic heavy. 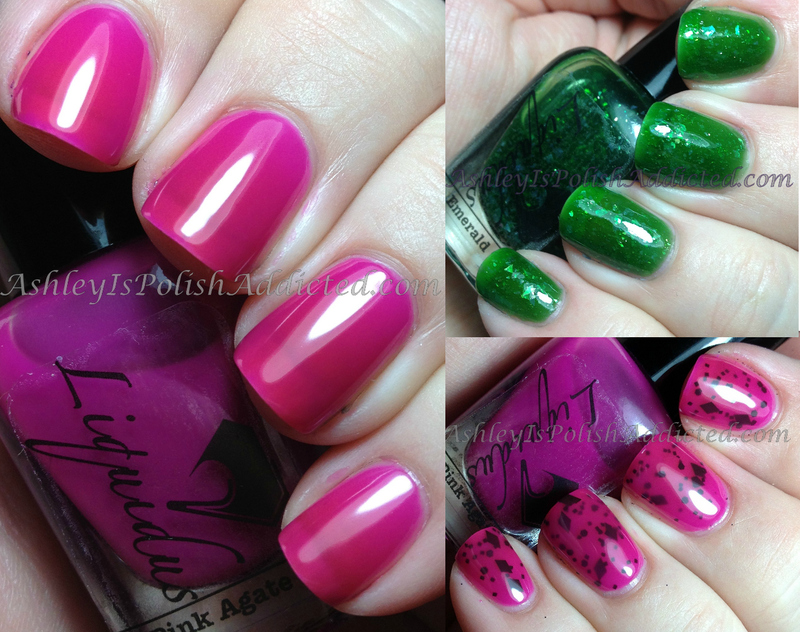 I apologize for having so many photos but I wanted to show you all of the sides of these polishes. 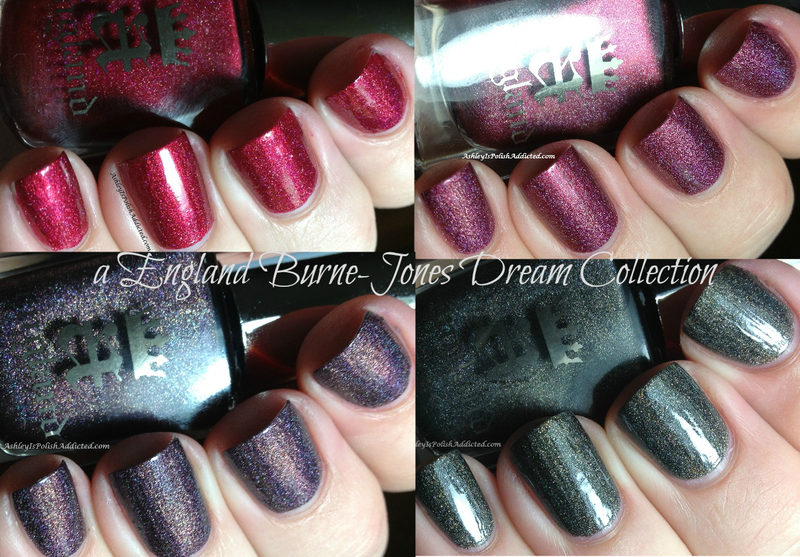 A England's new collection, the Burne-Jones Dream Collection, is inspired by a series of paintings by Edward Burne-Jones that were based on The Legend of Briar Rose (Sleeping Beauty). 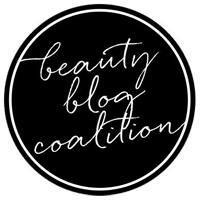 If you would like to learn more about the inspiration, visit Lucy's Stash's blog here because she has done an amazing post about it. There will be one more polish in this collection but it has not been released yet. I have been wanting to show you all this NOTD (that turned into 3 days worth of nail of the days - I just did not want to take it off!). If you follow me on Instagram or Facebook you might have seen the photo I posted last Thursday night when I did this mani - it's much faster to post a quick little preview on there than it is to write up a post so sometimes my manis are seen on there way before they make it to my blog (and sometimes I show ones on those platforms that I never get around to blogging). Good evening! 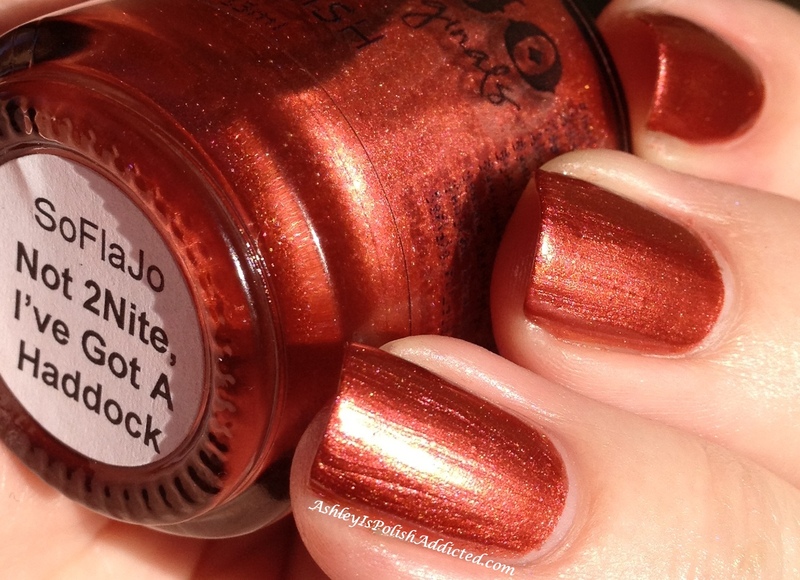 Break out you shades because I have a super bright polish to show you tonight! 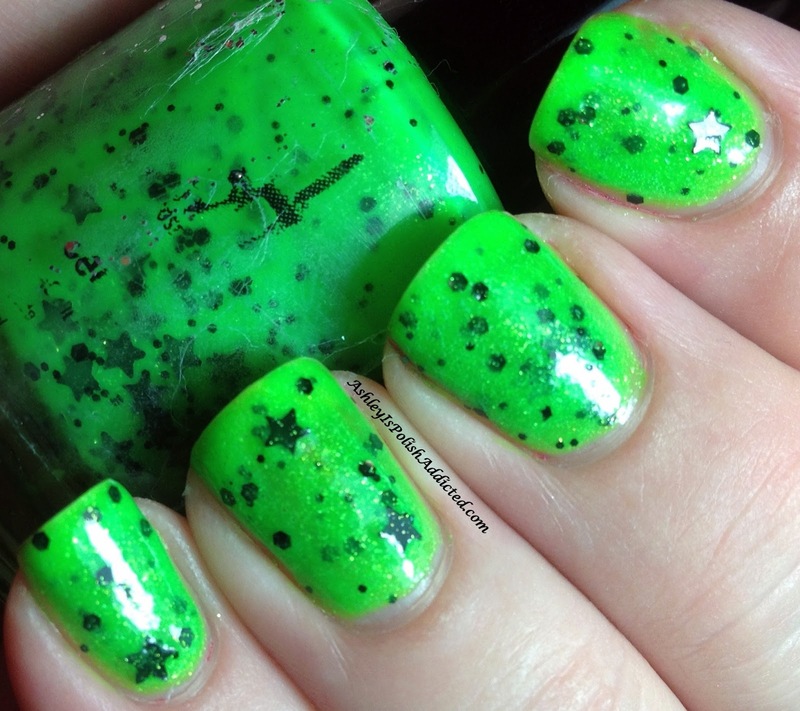 Girly Bits Face the Music from her Concert Series is a SUPER BRIGHT, in-your-face neon green crelly with black hexes and stars (and the surprise for me - it also has micro-flakes!). Click here to read about Pam's inspiration behind this polish. Hello everyone! I've had a "Monday" and am so glad it's over! 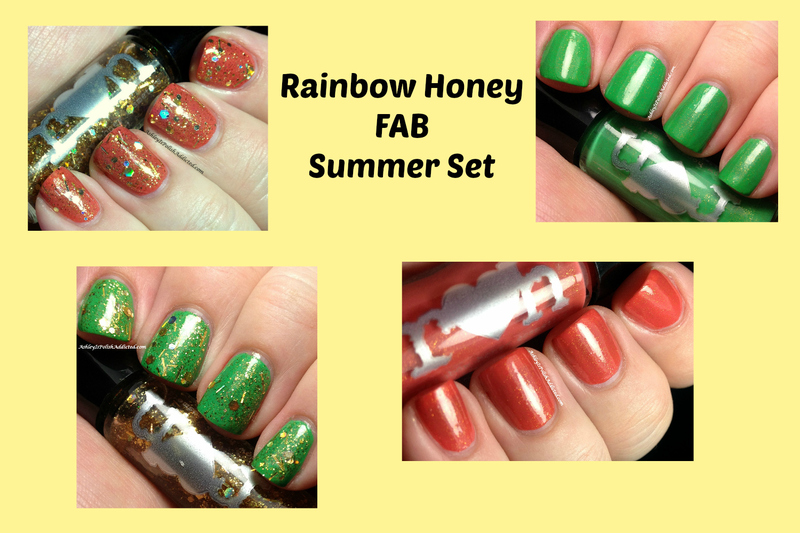 The Rainbow Honey FAB Summer Set is made up of 3 summery polishes - 2 shimmers and 1 glitter and they are great!